The Cathedral Room used to be the main trading room of the Melbourne Stock Exchange. The former Stock Exchange building is now part of what is known as the ANZ Gothic Bank on the corner of Collins and Queen Street in Melbourne, Victoria. The building was designed by William Pitt (1855-1918) and built in 1888-1891 for the Stock Exchange of Melbourne Co. Ltd. 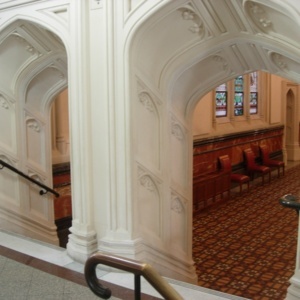 The entrance to the Gothic Revival Cathedral Room is via steps through deep pointed arch doorways featuring bas-relief sculpture. 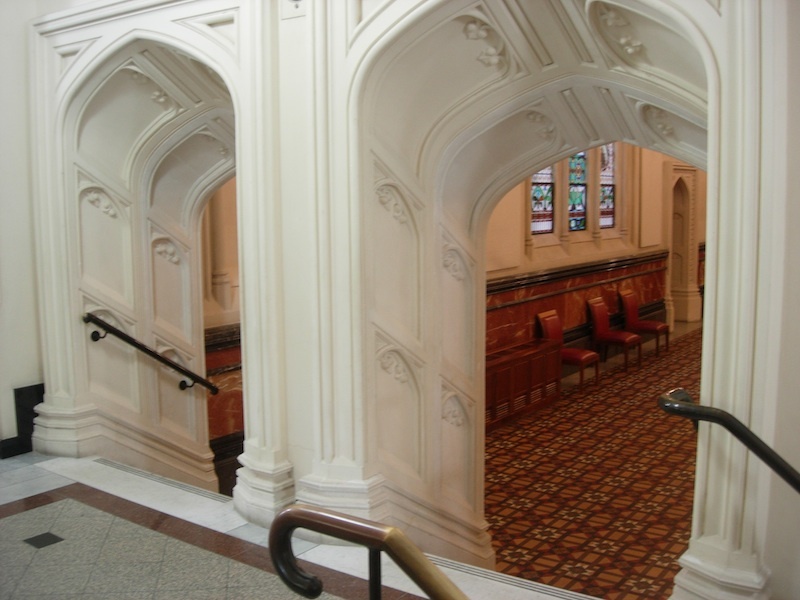 “Cathedral Room entrance, (Former) Melbourne Stock Exchange, Victoria,” Medievalism in Australian Cultural Memory, accessed April 23, 2019, http://ausmed.arts.uwa.edu.au/items/show/1317.